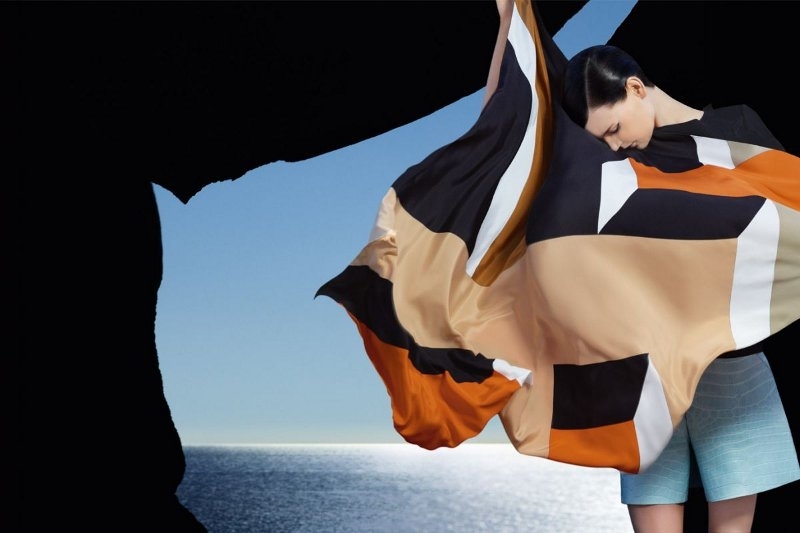 Lensed by Karl Lagerfeld himself, the new Fendi spring/summer 2013 campaign oozes refinement with a modern twist. Check it out! 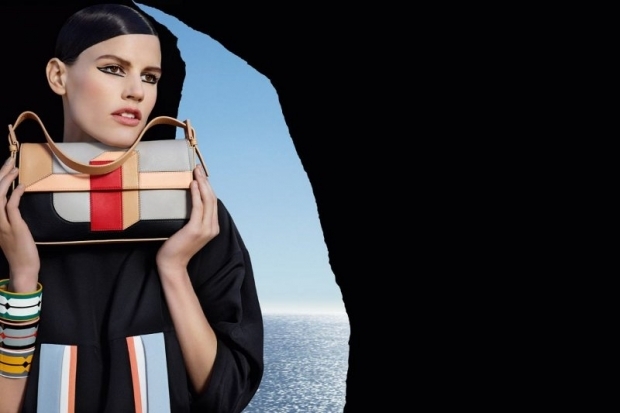 Fendi is the latest retailer to give us a glimpse of what's to come for this year's hottest months. If the Fendi fall 2012 season campaign was marked by interesting proportions with a fabulous twist, the new offerings are more about closely following the body line and playing with fabulous motifs and exciting colors instead. It's beyond clear by now that geometric cuts, fabulous geometric elements and a multitude of spectacular options are the go to options for those looking to consolidate their trendsetter status within the group, and fortunately the options are interesting enough to be worth the buzz. 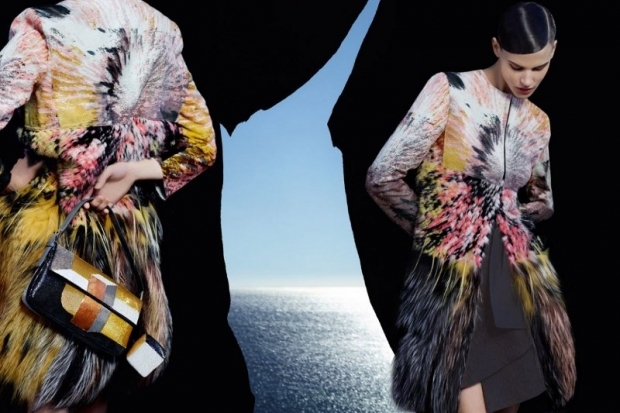 Spring looks have traditionally been about the flowy fabrics and femininity, however, the Fendi spring 2013 campaign endorses a different type of view altogether. Perfectly defined proportions, exciting textural touches and accessories that combine versatile elements with modern touches for a spectacular set of options that never fail to impress are the options the label focuses on for delivering a strong statement all throughout the sandal season. 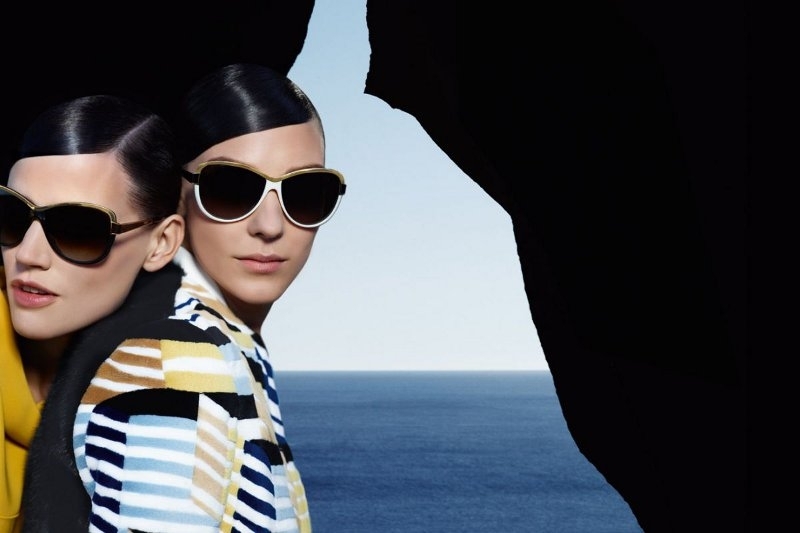 Photographed by Karl Lagerfeld himself, the new campaign definitely manages to deliver the right impressions every single time. Models Saskia de Brauw and Kati Nescher look amazing in the simple yet high impact options presented. A dramatic touch is always a great idea for avoiding the blending in with the crowd and Fendi sure knows how to maximize this fab touch. From the outfits themselves to the rest of the stylistic options all highlight the intense desire of making a statement and daring to be different. What's more, classiness and refinement are by no means compromised in the process. 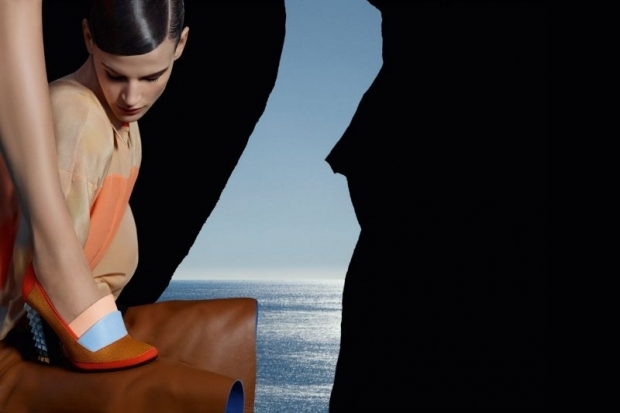 Every detail is highlighted with refinement in mind and the options carry this incredible allure in each of the ads. Accessories can make or break an outfit and the new looks definitely demonstrate the important role they play in highlighting the put together touch they can bring. Classy modern handbags, fab classy shoes with an edgy twist, fun eyeglasses or sunglasses are just some of the options that can instantly update your new season looks and increase the sense of elegance and sophistication. This season, modern vibes with a classy touch is the recommended styling approach for a fun statement.